This is just a little post to show my first ever Topshop make up purchases. 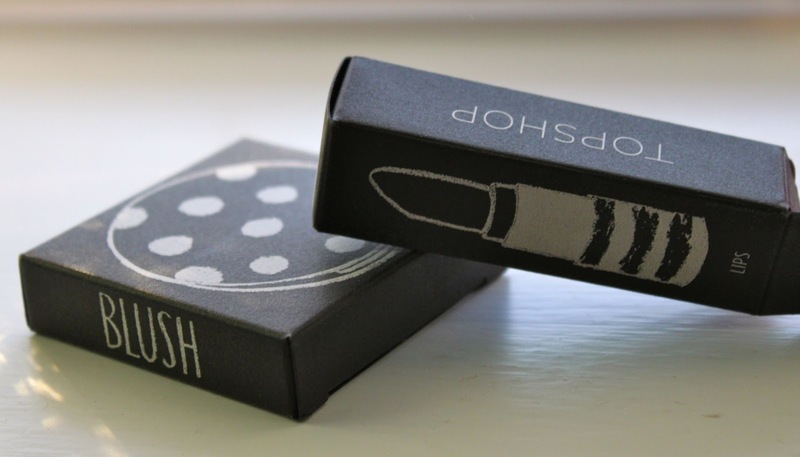 I have no idea what took me so long as i've always liked the packaging. 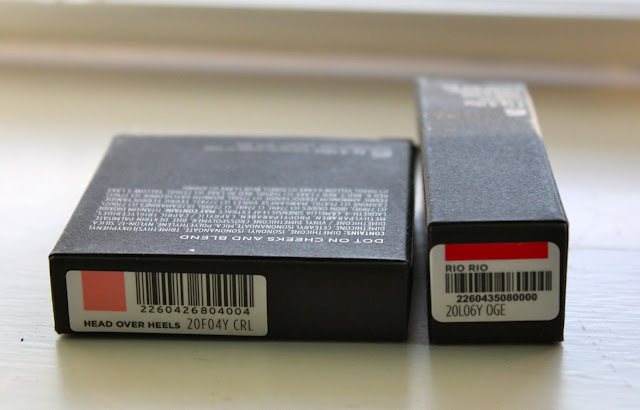 I guess before I started reading blogs I never heard any reviews and I didn't know about the quality. 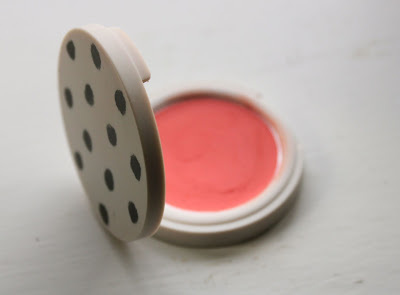 So I bought a cream blush in 'Head over heals' which was £6 and a lipstick called 'Rio Rio' for £8. I think the quality of this is really good for the price. 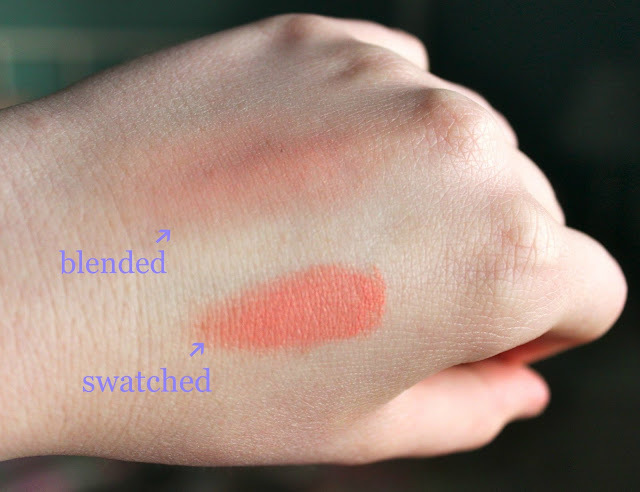 It's a lovely coral-peach colour which easily blends, as you can see in the picture I have swatched it onto my hand and about that rubbed it in to show you what the colour would look like on the cheeks. It goes fairly sheer to give a nice natural flush. 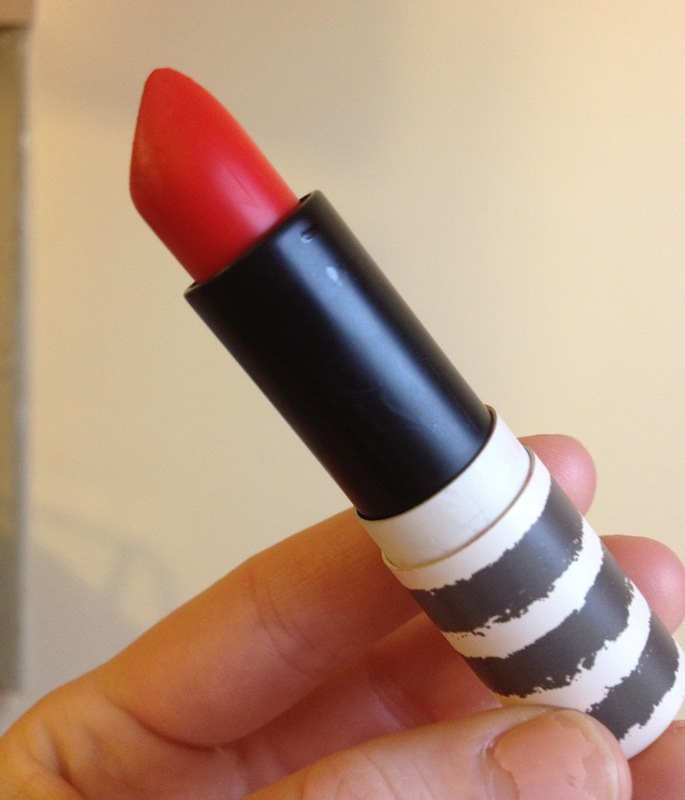 This is a bright matte red with a slight orange undertone. 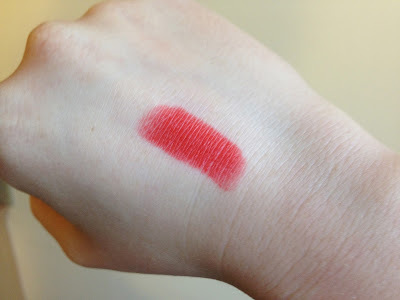 Despite being matte, I find the formula very nourishing and it has a satin feel which hydrates the lips. I really like the formula of the Topshop lipsticks and hopefully i'll be investing in more in the near future. Its fairly long lasting and I like to wear it sort of as a tint by really pushing it into the lips, which makes it last longer.